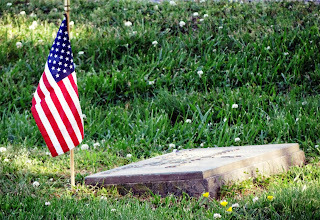 Memorial Day honors those who paid the ultimate price for their service. While many didn't come home, there are also many who came home and the war came with them. They battled injuries, PTSD and permanent disabilities until their last breath. We honor those fallen warriors too. My Grandpa was one who made it home after WWI. But that's not where his military service began. 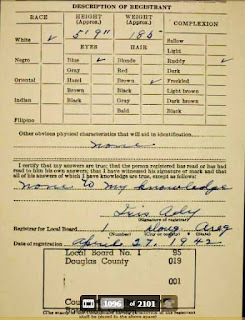 Born in 1889 in Beelog, North Carolina, he was a twin. His brother, Doctor O Pate, died shortly after their birth. Grandpa's first enlistment took him to what we now call Glacier National Park. His unit guarded the surveyors as they resurveyed the Lewis and Clark Trail and established the boundaries of what would become the national park. He was stationed with Company L of the 2nd U.S. Infantry at Fort Assinniboine, Montana, in 1909 and 1910. We know, because he saved the 1909 Christmas menu and 1910 Thanksgiving napkin. After completing his military service, Grandpa went to Arkansas, where his father had fled with the family after shooting a man (who died when the surgeon removed the injured arm). In Arkansas, the family was known as Shelton for obvious reasons. He homesteaded, but later left the state. 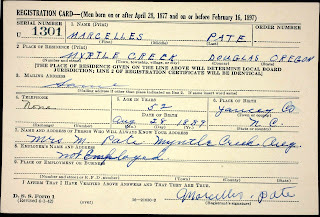 Though Grandpa went by Shelton in Arkansas, his legal name remained Pate, probably due to his military service. 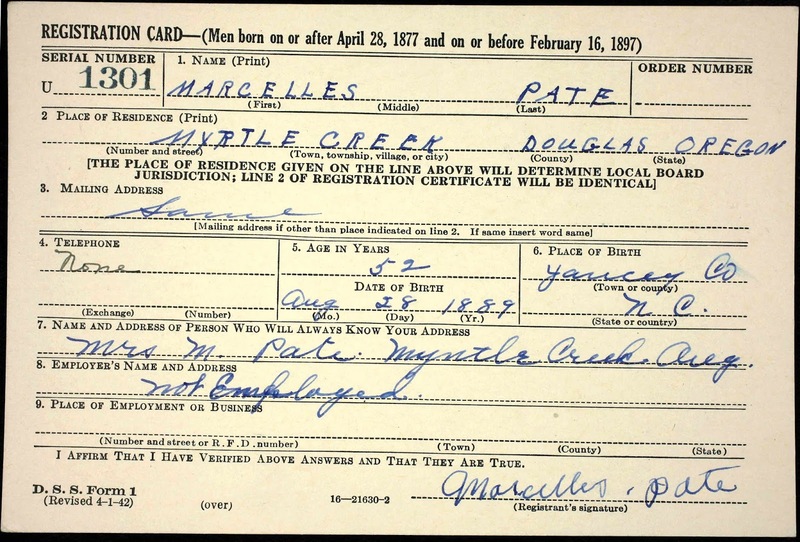 Grandpa's second enlistment was during WWI. He volunteered and ended up going to France. He worked in the forests and barely survived the Spanish flu epidemic. 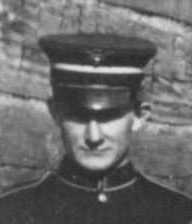 He left for France on January 2nd, 1918. 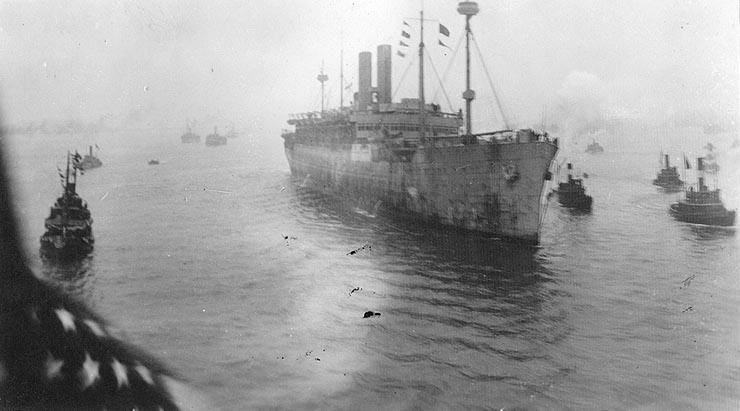 They boarded the USS America late on January 4th, 1918. It was a miserable trip, Grandpa was horribly seasick. Though many of the men were ill, they all had to watch for subs. "12 day and the crew almost worked to death They taken the crew aboard the Seattle and set the Tramp ST. John on fire and leaving her to sea That afternoon, We had a little more excitement as our convoy didn't reach us. Being lost from our ships course thir was subs also reported to be in our vinicity so they lined in battle form and continued that way until the next day." After landing in France, his company marched to Pleyes. It was a difficult job, exasperated by the lack of food and shelter. "This being the 27 of Jan we pitched our tents as the Best we could-Thinking we would get a chance to make us some beds But next morning the 28 and Monday we started to work That Licked The Hunger All we had to eat for 6 weeks was hard tack and bacon Sleeping on the gravel. 9 men to a tent the first work to pull the underbrush we had only 6 axes and 2 saws for 200 men Pulled Brush for 3 to 4 Days Then we got 60 axes and six saws We begane to fall timber and trim it with clubs Then they got some machates--they was but little better. The first order for timber was for trench poles No horses so the only thing was to carry them in We carried many train loads only having hard tack and bacon to eat while sleeping on the ground." Grandpa told Mom that after the Spanish flu struck, he was so sick and weak that it took him all day to get to the work site and then get back to his base. In his diary, he wrote, "Goying in the same way till August when the Spanish Flu struck the camp Everyone being underfed and overworked we were in bad condition for any kind of dissease. In about a week thir was 120 men down 8 died Some were disabled for life and had to be sent back home The Doctors got after the officers and made them feed us better-in about a month the most of the men was able to go back to work." Grandpa finally returned to the U.S. and was discharged. His last sentence in his diary was, "I landed home May the 2nd I agree with Sherman WAR IS HELL"
Mom said, "Dad Pate always said the most beautiful sight in this world was the Statue of Liberty greeting him on the way home from France. He said, 'I will never see her face again unless she turns around.'" After he made it home, he married Grandma and eventually they made their way to Oregon. His cousin drove them across the nation; Grandpa never learned to drive. He and Grandma were among the last homesteaders in Oregon. 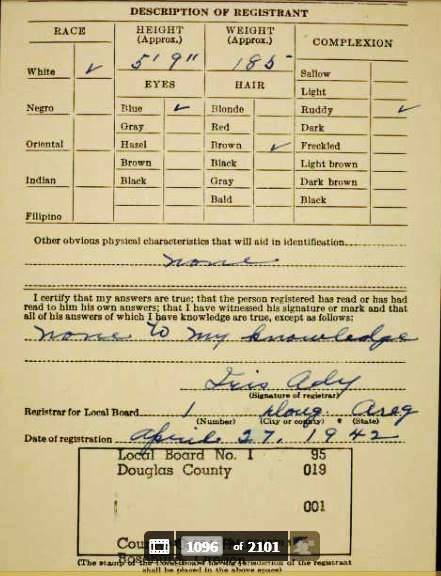 When WWII began, apparently every man had to enroll for the draft. He wasn't called to go. Grandpa had a long life with many adventures. Happily, he made it back from France, otherwise I wouldn't be here. Grandpa passed in 1975 from emphysema and pneumonia. I believe his battle to survive the Spanish flu damaged his lungs, he suffered from emphysema for most of his later years and was a disabled Veteran. Thank you Grandpa for your service. All phtotos are from the Pate Family archives unless otherwise credited.